In order to streamline management of game pieces, create a file folder storage system. 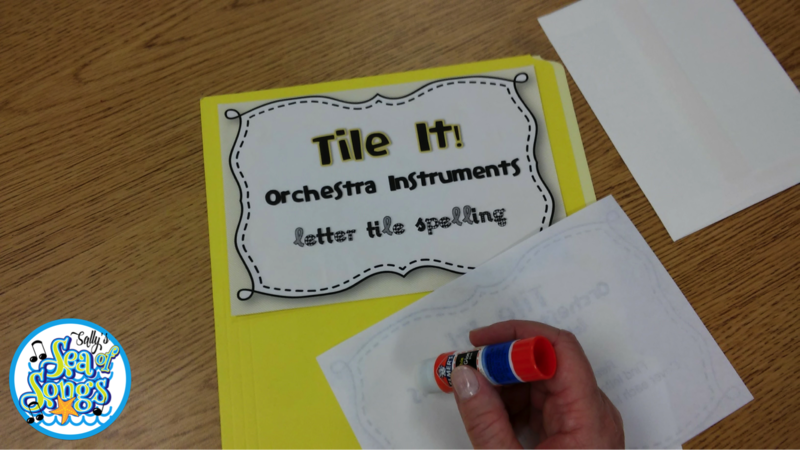 Print a center title card and a task card. Alternatively, neatly print the center title on a label. Gather supplies to complete the task: file folder, envelope, scissors, glue stick. 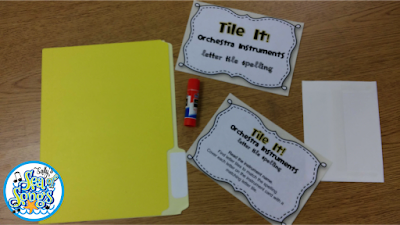 Attach title and task card to the outside front of the file folder. 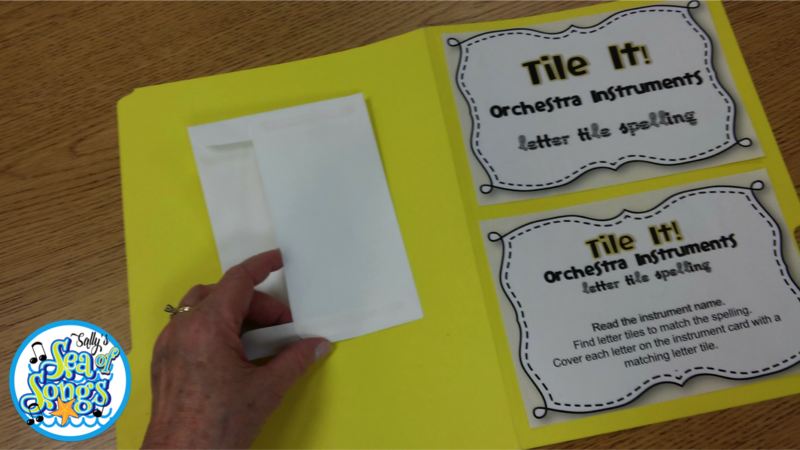 Attach an envelope to the outside back of the file folder. This will be used to hold any small game pieces or cards. While the folder is open, laminate the entire file folder for durability, then carefully slit the opening of the envelope. 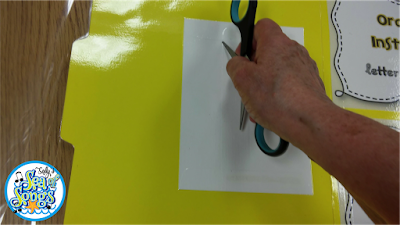 Trim off excess laminating film. 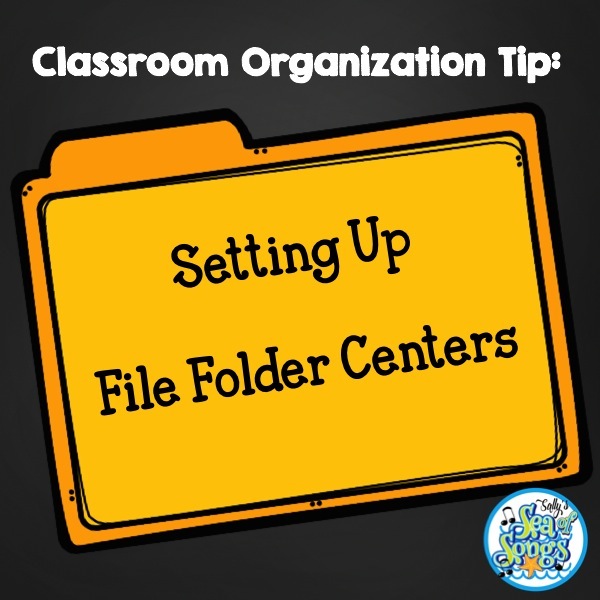 Store small cards or game pieces in the envelope, and large cards or worksheets inside the folder. 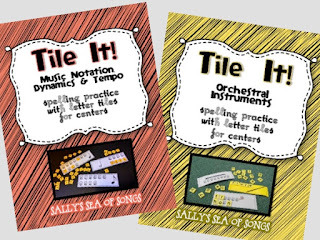 I have spotted file folder center books at the local teacher store, but none for music teachers. This system has been working great for several years. 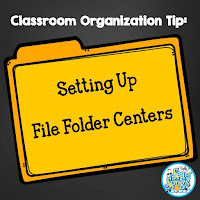 Just about any small group activity can be adapted to fit into a file folder. 1. Game boards can be glued right inside of the folder so they don't get lost. 2. Laminate the CLOSED folder, then carefully slit open the top. This provides more protection to keep items inside from falling out, but you will be more limited in space. 3. Laminate questions or puzzles on the inside of the folder. Place a dry erase marker in the envelope. 4. Place task cards in the place that makes the most sense for your activity: on the front of the folder, inside the folder, or laminated separately and placed loose in the folder. 5. Substitute pocket folders for file folders. 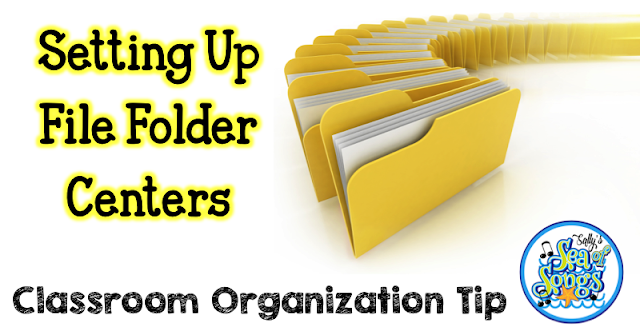 The folders WITHOUT prongs work best if you want to laminate the whole folder. The Tile It! 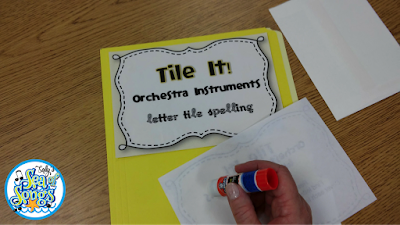 Letter Tile Spelling centers pictured above are available in here. 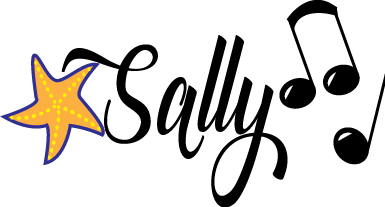 Click the photo below to find more center activities. p.s. Check out more great blog posts at the Fermata Fridays linkup!